Best five apps for any Android device to protect from the viruses and other threads and keep the privacy of your Android devices. Today Android is the best operating system of the world for handy devices such as phone and tablets. But there are many things in the Android device to keep in mind to protect your privacy and maintain the security of your Android phone. Having an antivirus installed on your phone is not enough because it will protect your phone against the viruses and other threads but there is not any antivirus which can keep your privacy. So you have to take care of somethings like any unknown person, or your friends cannot access your phone, all sensitive apps are locked, you have created a backup of your apps & other data and other things of this kind. As all of us know that there are many other operating systems available for the mobiles but the main reason for the popularity of the Android phones is that it can be edited in any way we want, and it has thousands of apps available on the play store. 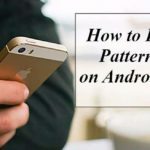 Usually, every 2nd person is using an android phone, so if you have any personal information, data or having any other thing of this kind in which other people are interested then they can attack your Android phone, So I have decided to tell you about some very useful apps which can be used to keep the security and privacy of your android phone and its data. App Lock is the most popular app for protecting your apps by setting a password or pin. If you share your Android device with others than it can be a very useful app for you because it can lock all apps of your Android phone by a password or pin easily to open that particular app you have to enter the password which you had selected before while set up of App Lock. You can set a password, pin or pattern on any app. Easy to use and provides the best user experience. Can lock desired apps at a particular time or location itself. Very simple method to secure all calls either incoming or outgoings. Lock your social apps like Facebook, WhatsApp, Google Plus and all other. Cannot be uninstalled from your phone without the permission of installer. Can not be stopped or killed by any task killer app. This is one of the top Antivirus and App Locker app for the Android devices it can protect your Android phone from all kind of viruses such as Malware, Malicious Apps, Malicious Files. Besides this, it can scan your whole Android device externally and internally to find out any threads present in your phone. You can lock your installed apps so it can work as an app locker. Fast and the safe for all kind of android devices. Can scan your SD Card (Memory Card) thoroughly for any viruses and other threads of this kind. Provides the facility to lock the apps with passwords from any unauthorized access. Gets regularly updated by the manufacturers for any new viruses and threats to provide the real-time scanning and protection. You can Browse the internet safely using this app because it also provides the web security. Block all unwanted calls, messages, and numbers. Easy to scan all the apps and the whole phone in just a single tap. If you lost your phone or someone theft it then you can locate it on the Maps and can lock, erase and give a ring to your phone to keep your privacy. CM Security Antivirus App Lock can boost your phone to give the best user experience and can be used on rooted as well as non-rooted phones. CM Security Antivirus App Lock is the best app for your android phone in my view you must try it once because it provides many good features for free. App Ops is a good app specially designed for protecting the privacy of your Android device by blocking the permission of all the apps either they are the system apps or not. Do you know when you install any app on your Android phone before letting you install the app, the app gives you some agreement that is called permission such as tracking your location and other things of this kind if you accept this you can install the app but if you do not accept any of them then you have to click on decline(Do not install) button and the app is not installed on your phone. But if you do not like any permission of a particular app and want to protect your privacy and also wanted to install the app then you can use the App Ops for this purpose because it can be used to block the permissions of any app. Can block the permission all kind of apps. Block third party apps from tracking you when you disable the tracking permission of that app. Fully safe to use any app whose a particular agreement is blocked cannot misbehave by using the App Ops and much more. Undoubtedly 360 Security is one of the best and the top leading app for the safety of the Android devices. It can protect your Android device from a wide range of viruses it has a big virus database and is also regularly updated by the developers to provide the real time protection. 360 Security can scan your whole Android device at once it is best of mobiles as well as tablets. Besides the scanning feature it is also a real booster of Android, yes it can boost up the speed of your Android phone to an incredible level and gives the users the best experience. Protects against the viruses of all kind. Developers keep it updated regularly and have a wide virus database. Can scan the SD Card (Memory Card), Internal Storage, External Storage and apps. Automatically scans the new apps which are installed after the scanner. Can delete all files of apps which are not in use, junk files, the cache of the apps and provides clean storage disk. Saves the battery timing of your device by closing the useless background processes. Can be used to lock the apps with a pin, pattern or password to protect privacy. If you ever lost or someone stole your phone you can find erase, give a ring, locate the location on the map by using 360 Security. Provides an extra layer of safety & Privacy to protect the personal data of the users. Avast is an excellent corporation for developing good and best antiviruses for different OS. This company has created one of the best antiviruses for the Windows computers. Avast Mobile Security is better than the computer’s because it has more features than any other. Avast Mobile Security can protect your Android device from different kind of viruses such as malware, phishing attacks, spyware. It can scan your whole Android in just a single tap and can find & detect viruses from your device very easily. It is also best because it has a very wide range of virus database and is regularly updated. Can be used to lock apps to protect privacy. Have one of the best virus databases to protect your devices from different kind of viruses and threads. Makes your browsing safe by providing a layer of security. You can remotely control you Android device from anywhere. Like other apps, it can also locate your device easily on the map and also provides some other features like this. These are some best security and privacy apps for your Android devices; you must install one of them to protect yourself from different kind of threads. So, this was all about Best 5 Android Apps To Protect Privacy And Security In 2016. By using these apps, you can protect your personal information and other data from anyone especially when you lost, or someone stole your Android device. The apps describe above are developed by the top developers and are world widely used if you have any questions then just drop a comment. thanks to share these helpful artcile for us, thanks to share best top privacy apps for android mobile. Useful article that brings a necessary information about security. I’ve already used all these methods and I can ensure anybody that there really work.